May 30, 2018 - Charles presented on mediating estate disputes at the B'nai Brith 2018 Seminar on "Estate Tax Planning Gone Awry". April 5, 2018 - Charles presented "Handling Expert Evidence in Estate Litigation" for the Ontario Bar Association Essential Evidence Series for Estate Litigators. Charles was recently interviewed for an article in the The Advocate Daily: Read More. Charles, your professionalism, knowledge, compassion and individual attention have been exceptional. The experience you offer is conducted with complete honesty and respectful directness, which only enhances the lawyer / client association. From our first meeting you advised that estate litigation could be very emotional and for me it was. My thanks to you and your staff for being there for me during moments of fear and apprehension, that degree of support and patience was outstanding.... Sabina F.
Estate litigation is a complex area of estate law. It is important to hire an estate lawyer for estate litigation disputes. Call Charles Ticker at 1-866-677-7746 for a consultation. Charles Ticker is an estate lawyer with over 37 years of experience who has successfully appeared at all levels of Ontario trial Courts and the Court of Appeal. He has vast estate litigation experience and he is able to represent his clients effectively. Charles has represented list clients in many different estate disputes. He is able to use his experience to craft creative litigation strategies to attain favorable for his clients. In addition to being an estate lawyer and dedicating his career to estate law, Charles Ticker is an experienced and qualified mediator. He is intimately familiar with the estate mediation process both as a lawyer and as a mediator. Estate mediation is a process that is an integral part of estate litigation in Ontario. In fact, estate mediation is mandatory in many estate law disputes in several parts of Ontario. In Toronto, Rule 24.1 of the Rules of Civil Procedure states that all estate disputes must be mediated. Mediation allows the parties a chance to resolve their dispute and save costs. The costs of litigation are very high. The parties can use mediation to narrow down the issues of the dispute. The parties can resolve certain parts of the dispute. Although estate disputes seldom advance to trial, it is often necessary to initiate Court proceedings. Charles will explain the estate litigation process to you in detail. He has the expertise and experience necessary to successfully guide you through litigation. This includes all the steps up to and including trial. The following are some of the areas of estate litigation that Charles Ticker can assist you with. If you have any questions contact Charles directly. You can reach him at 1-866-677-7746, by email, or by filling out the contact form on this website. The law recognizes the value of your services in caring for an elderly testator. As people age, more of them require assistance from friends and family. There are many situations where family may not be able to assist an elderly individual in need. If relatives are not available to help a testator, she may enlist the help of a friend to provide care. The testator often promises de facto “caregiver” a fair reward in the will. The caregiver may later find out that the testator failed to amend his or her will accordingly. If this happens, the caregiver may sue the estate for services provided to the testator. Read more. A beneficiary may be interested in contesting a will under various circumstances. When you contest a will you initiate a will challenge. There are many reasons for a person start a will challenge. A testator who lacks capacity cannot execute a valid will. The will may also be invalid if or if there was undue pressure from other family members (other siblings). Many estate litigation battles involve a dispute about the validity of a will. An experienced estate litigation lawyer should be retained when proceeding with or defending against a will challenge. Read more. A dependant support claim may be made by a person who was a dependant of a deceased individual at the time of death. It is important to retain an estate litigation lawyer in order to determine if you qualify as a dependant person. Children, grandchildren, spouses, parents and siblings may be bale to make a claim against the estate of the deceased. A dependant person does not have to be directly related to the deceased. Adult children may also be able to make a dependant support claim under certain circumstances. The same applies to the surviving spouse of the deceased. He or she may have to elect between taking under a will, or asserting an equalization payment. There are important limitations that must be followed to ensure your rights as a dependant are protected. Read more. Estate administration disputes are common in estate litigation. The person appointed as the administrator of the estate (also referred to as the executor), must ensure that he or she understand his or her legal rights and obligations. If the executor makes mistakes administering the estate, or fails to keep proper records and accounting of various transactions, these errors and omissions may give rise to estate litigation at a later date. Furthermore, beneficiaries may move to have the executor removed, and he or she may be found to be personally liable to the estate. Estate administration and estate planning require prudent legal advice from a lawyer. Read more. If there are no powers of attorney in place and a person stats to lack capacity to manage his or her affairs, a guardianship dispute may ensue. Guardianship disputes are among the most emotionally challenging kinds of disputes in estate litigation. A person who lacks capacity will require a guardian. Consequently, capacity is very important in guardianship disputes. The Court can appoint a guardian to make financial and personal care decisions for the incapable person. The proposed guardian will require legal advice. Other family members should obtain as much information as possible. You should get legal advice even if the matter does not progress to Court. Guardianship disputes require specialized knowledge of estate law. You should consult an estate lawyer. Read more. Estate litigation is a costly and complex process. There are many instances when siblings and relatives engage in protracted estate litigation as a result of bitter rivalries that may stem all the way back to childhood. The parties involved may make unreasonable claims based on feelings of anger or betrayal. Even if the parties wish to take the matter all the way to Court or trial, estate lawyers must ensure that their clients are aware of the possible cost consequences in estate litigation lawsuits. A client who does not take the advice of his lawyer can end up paying the legal costs of the other side. Many Judges act strongly in awarding costs in order to discourage the wasting of the Court’s resources and time on frivolous and vexations litigation. Read more. There are many situations when third parties unrelated to the estate may cause significant losses to the estate. As an example, the executor of an estate may be removed if his actions have endangered the estate, if he has acted dishonestly, if he has acted without proper care, or if he has acted without reasonable fidelity as outlined in the criteria for removing an executor. An attorney entrusted by the the grantor with a power of attorney occasionally abuses grantor financially. The attorneys occasionally misappropriate funds belonging to the grantor. Abuse of power of attorney documentation is a serious matter. Many estate litigation cases involve the depletion of assets by a person in a position of trust to a testator. You should consult and hire an estate lawyer. Read more. You should update your estate plan regularly. Some people even do not have estate plans as they delay making their estate plans due to the unpleasantness of thinking of their eventual demise. It is important to note that times of joy such as weddings, childbirths, or marriages should also trigger the updating and or creation of estate plans. Estate management and estate administration require properly prepared and updated estate plans. For example, if you fail to to change the beneficiary of a registered savings plan, insurance policy, or retirement plan after you have divorced, it is likely that estate litigation will ensue between your former and surviving spouses or children. Read more. As people age, they lose their ability to handle their affairs. It is important to have proper power of attorney documentation drafted and prepared while the person still has the capacity to manage his affairs. There are two types of powers of attorney in Ontario: a power of attorney for property, and a power of attorney for personal care. Pursuant to the Substitute Decisions Act, a power of attorney for property refers to the power to make financial decisions in the best interests of the grantor. A power of attorney for personal care refers to decisions governing among other things, personal hygiene, food, shelter, clothing, and medical care for the grantor. A power of attorney can come into effect at the time it is signed by the grantor. Alternatively, it can come into effect a later time when the grantor is deemed to have lost capacity to manage her affairs. Occasionally, the attorney abuses his power. Consequently, power attorney disputes often give rise to estate litigation due to abuse of the power of attorney. It is important to seek legal advice from an estate lawyer in any dispute involving alleged abuse of a power of attorney. Read more. The passing of accounts by an estate trustee is process that requires specialized knowledge of estate law. The Substitute Decisions Act and the Rules of Civil Procedure govern the procedure by which trustees and fiduciaries are required to pass accounts in Ontario. The trustee may be required to pass accounts or the trustee can do so voluntarily under section 48 of the Estates Act. A beneficiary can challenge the actions of the trustee in handling estate accounts. A Judge can appoint the Office of the Public Guardian and Trustee to review the accounts. The passing of accounts can give rise to estate litigation and should be done with the assistance of an experienced estate lawyer. There are various record-keeping procedures that must be followed to ensure the passing of accounts is successful. Read more. An executor of an estate may be removed for various reasons. If the executor misappropriates funds, or fails to keep records, beneficiaries can move to remove the executor. Gross misconduct is another reason to remove an executor. The removal of an executor is a serious step. Consequently, you should consider the decision carefully. If you are going to attempt to remove an executor, you should get legal advice. Courts have jurisdiction to remove an executor on many grounds. Courts have jurisdiction to remove an executor before probate. There are also situations where the Court may decide to suspend an executor’s right to administer the estate. The analysis is always based on the specific facts of your case and requires knowledge of estate law. Read more. A substitute decision maker is a person who is elected to make decisions for the person who is incapacitated. Powers of attorney govern property or personal care. The substitute decision maker should be able to carry out the duties associated with being an attorney under a power of attorney. Appointing all of a person’s children as substitute decision makers is a common mistake. The children often fail to agree when it comes to important decisions. As a result, stalemates and delays follow. One common solution to this problem is for powers of attorney to have “majority rules” clauses. If there is no “majority rules” clause, any decisions made would have to be unanimous. Consequently, this often results in protracted and bitter estate litigation proceedings. Read more. The executor of a will must be careful when it comes to will interpretation. If a will contains ambiguous provisions, the executor must get legal advice. The executor should protect himself from personal liability. If you distribute the estate while there are will interpretation issues, beneficiaries may sue you. Importantly, an estate lawyer can assist with will interpretation. Occasionally the parties need the opinion of the Court. Your estate lawyer can help you prepare the application materials. Additionally, an experienced estate litigation lawyer can provide the Court favorable interpretations of any of ambiguous sections. This is an area of estate litigation where the experience of your estate litigation lawyer is very important. Read more. In many parts of Ontario such as Toronto, Ottawa, Windsor, and the County of Essex estate mediation is a mandatory part of the estate litigation process for many types of disputes. Therefore, you should retain a lawyer dealing with an estate litigation dispute. Mediation allows the parties to attempt to resolve the matter at an early stage thereby saving time and legal costs. The vast majority of estate litigation cases settle well in advance of trial. Furthermore, if mediation fails, the parties should attempt to settle ahead of trial. The mediation mediation process allows parties to openly discuss the issues of the case. The parties should attempt to settle some of the disputed issues. Read more. It is important to ensure the parties involved in a mediation understand the process. Mediation is not a forum for the parties to argue their case. The mediator is not there to give a legal opinion. In fact, the mediator is a neutral third party. His goal at the mediation is to encourage dialogue or a solution to the dispute. The mediator cannot force the parties to settle the matter. The mediation process is confidential. The discussions during mediation are also confidential. Furthermore, the confidential nature of the mediation process may be conducive to settlement. The terms of settlement reached during mediation usually remain confidential. A trial decision is public. A public decision will expose various facts about the estate dispute. Consequently, the Court’s decision may embarrass the parties. 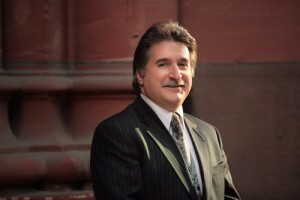 Charles is an experienced Toronto estate lawyer and estate mediator. He is intimately familiar with the estate mediation process in Ontario. Read more. A family conference allows members of a family to resolve future potential disputes. The elder family members (testators) may convene a family conference with beneficiaries. The parties may bring their lawyers to the meeting. A mediator may also be present to guide everyone through the process. The purpose of a family conference is to address future problems. A family conference meeting ensures that the parties involved are on the same page. Family conferencing is an excellent tool to decrease likelihood of estate litigation at a later time. Read more. Charles Ticker has over 37 years of experience in estate litigation and estate law disputes. He is an experienced estate lawyer and mediator. He will work closely with you and guide you through the estate litigation process. Finally, Charles is enthusiastic to put his expertise and experience to work for you. The information on this website is not legal advice. It is for informative purposes only. Contacting us does not mean you have retained a lawyer. To book a consultation, call Charles at: 1-866-677-7746.